The Great Indian Muslim personalities, who participate Indian freedom struggle and also the Muslim citizens, who serve in the various fields like Political, Literature, Education, Islamic Religious Works, Arts & Culture, Science & Technology, Administration, Defence Service, Judiciary, Sports, Philanthropist and Industrialists etc..... Please visit and suggest with E-mail address. 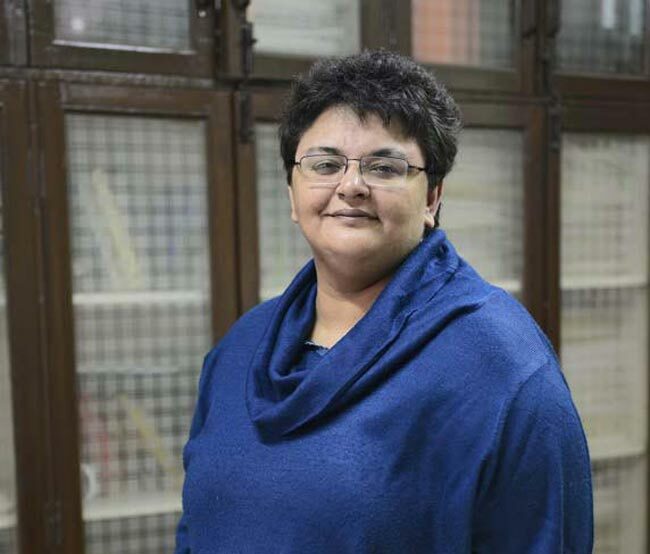 Dr. Ayesha Kidwai's (Professor) research interests include linguistic theory, with particular reference to the (generative) syntax and morphology of Indian languages, philosophy of language, gender and language, the politics of English, and language evolution. After completing her PhD in 1995 from Jawaharlal Nehru University on scrambling and binding in Hindi-Urdu, she has worked on diverse morphological and syntactic phenomena in languages of all the four-language family of India, as well as Indian Sign Language. Her current research interests include the syntax of finite complementation and the properties of adjunction in natural language. Under her supervision, students of the Centre have worked on descriptive grammars of lesser-known languages, explored aspects of the syntax and semantics of the Indo-Aryan and Dravidian language families, and investigated the interaction of gender with linguistic behavior. Prof. Ayesha Kidwai completed her M.A. and Ph.D. in Linguistics from Jawaharlal Nehru University. Her research interests include linguistic theory, with particular reference to the (generative) syntax and morphology of Indian languages, philosophy of language, gender and language, the politics of English, and the evolution of language. Her current research interests include the syntax of finite complementation and the properties of adjunction in natural language. 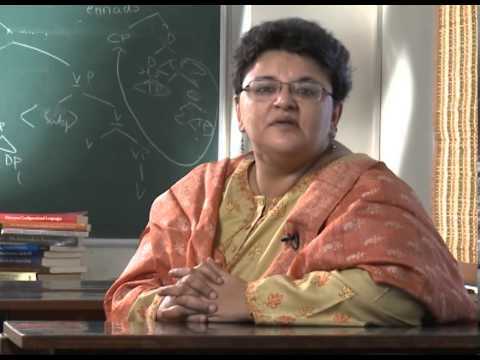 She has authored several papers and a few notable books such as XP-adjunction in Universal Grammar: Scrambling and Binding in Hindi-Urdu, and In Freedom's Shade, an English translation of Anis Kidwai's Urdu memoir Azaadi Ki Chaon Mein. Prof. Kidwai's research ranges around a wide variety of syntactic topics, united by a preoccupation with the properties and effects of optional displacement operations in Universal Grammar. Universal Grammar is the radical hypothesis, put forth five decades ago by Noam Chomsky, that the innate human linguistic ability is a domain-specific intelligence that must be modeled as a distinct Faculty of Language. This innate endowment, a system of principles and parametric options, forms the basis for the human knowledge and acquisition of any natural language, and is the source for both the relatedness of and differences between human languages. Prof. Kidwai's contributions to the field have been the study of the principles and parameters that must be hypothesized to explain the syntactic properties of a number of South Asian languages, including Hindi-Urdu, Bengali, Malayalam, Meiteilon and Santali. The phenomenon of free word order found in many languages of the world – ‘scrambling’– raises many intriguing questions for Universal Grammar, as such word order variation is apparently optional, and therefore difficult to characterize by grammatical rules. Prof. Kidwai's work in this intensively studied and debated domain proposes a novel theory of how the referential properties of scrambled noun phrases in Hindi-Urdu may be characterized once the discourse effects of these optional variations are taken into account. These proposals have had important implications for the hypothesized design of Universal Grammar as well as the displacement operations conjectured to be central to it. Recently, Prof. Kidwai also distinguished herself as an ace translator, having rendered Anis Kidwai's moving Urdu memoir of the aftermath of partition, Azaadi Ki Chaon Mein, into English, In Freedom's Shade.